We’ve been asking members what to talk to the council about at the Cycling Liaison Group. And since it’s an Olympic year, one member has asked us to investigate just what the legacy has been. “We should remind the councilors that we are now in an Olympic year, and four years after cycling went through our borough there has been NO OLYMPIC LEGACY. Don’t let them fob us off with blah-blah about educating children etc. My children won’t dare cycle in central Richmond. There are NO new cycling lanes in the centre of the town. They will talk about Twickenham – as they have in emails to me – but Richmond has had nothing, except a dead cyclist on the A316. 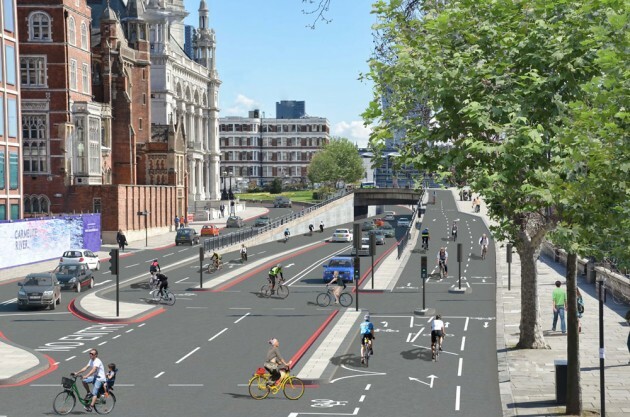 It’s an utter disgrace, as Central London forges ahead with cycling lanes and designated, protected routes. We should make them understand that Richmond’s children are not safe on Richmond’s roads, and the failure to protect kids (rather than protect bus routes and cars through the town centre) will bring multiple consequences, not least on our health budget, as our kids choose NOT to cycle. But really, we must nail them on the lack of an Olympic legacy. 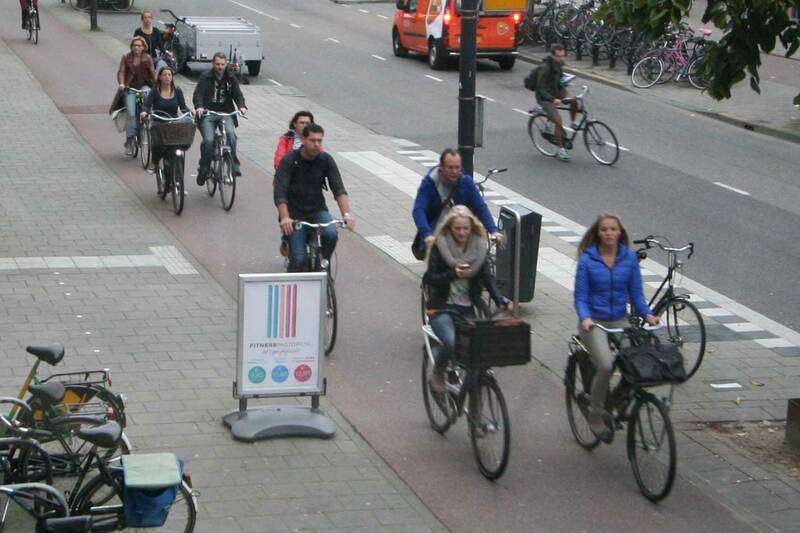 On some of the very streets the cyclists rode on there are no cycle lanes. And when there are? Look at the road going over the railway lines at the back of Richmond station –a road with a cycle lane that is 18 inches wide at one point. You can see this post from our Rides coordinator, written just after the Olympics, hoping for a legacy. And with a bit of digging you can find the lacklustre ambition to make 7.5% of journeys in Richmond by bike when we get to 2026 (see p92 of the ‘second Local Implementation Plan’, hosted on this page). Based on current progress, we probably won’t even reach that poor target. Does your quiet street seem busier! Does it seem like your street is getting more and more traffic on it! It probably is and is likely because of technology. 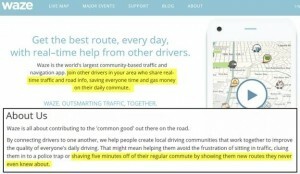 Waze is a new sat nav style app that encourages drivers to avoid traffic and junctions using back streets. It got us thinking! Local shortcuts are no longer local secrets! That means previously quiet roads are getting busier. What can be done about? We think that as the way people drive is changing so road designs will have to change. If we wish to protect our quiet neighbourhoods and create safer space for cycling gentle street changes will be required to keep folks on the main roads. A proven method of reducing rat runs and maintaining quiet streets is to restrict through traffic. Access is maintained but motor vehicles cannot pass directly through, the techies call this filtered permeability. We have written to Cllr Speak (Highways and street scene) to let him know that road designs will have to adapt to new technology. If you are worried about quiet roads becoming busy roads please do the same Cllr.SSpeak@richmond.gov.uk and ask for a ‘filtered permeability’ trial on your street. The Cycling Liaison Group has come a long way in two years. With a new cycling officer, and a cycling champion who really understands what it takes to make ‘normal cycling’ a normal thing in the borough, we’re hoping that Richmond council is finally thinking about catching up with places like Camden, Waltham Forest, and Ealing (to name a few!). A contract for consultation on the Wandsworth-Teddington Quietway will be signed soon, and the council has promised that cycling groups will be involved in the planning. We emphasised that keeping motorised traffic levels low is important, but it doesn’t sound like the council is ready to provide much real detail on these. Which, frankly, is a bit worrying, because a quietway will be of no use if it doesn’t provide reasonable directness, and is safe and inviting. It sounds like various objections have sent this consultation one back to the drawing board. On a positive note, this is because it seems TfL thought it could be more ambitious. We’d love to see an improved proposal here, and the guts of the initial proposal did suggest real thought about what will make a difference for everyone to ride a bike. It sounds like we’ll be able to see a full audit of the borough’s cycle parking very soon. We all know places where more parking is needed, so this should drive some serious improvements. With the document about supplementary planning guidance (yes, it’s really as dull as it sounds) being revised, we’ve taken the opportunity to ask the council to confirm that they are following the London Plan. In addition, we’ll be trying to find out that the council is making sure that any new planning application includes high quality, accessible cycle parking. 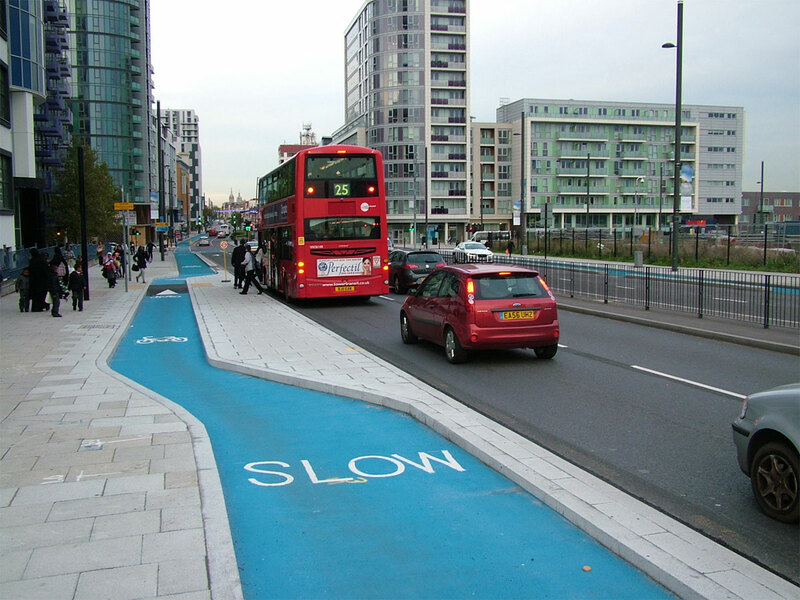 Cycling Liaison Group – When Will We See A Cycling Strategy? 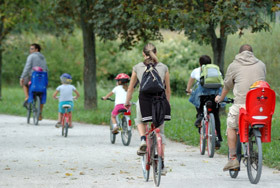 The new administration at LBRUT holds its first Cycling Liaison Group on Tuesday 14th October. The meeting agenda and details are here. This will be the first meeting chaired by the borough’s new cycling champion, Cllr Jean Loveland. As usual, there is an agenda item on the Borough’s Cycling Strategy. Throughout the last administration, the ‘cycling strategy’ was a regular feature of the CLG meetings, and the strategy itself was always ‘in development’. Let’s hope that there is now an appetite to take some of these ideas on board. The Cycling Liaison Group – YOU HAVE BEEN CONSULTED! Tuesday night was the last Cycling Liaison Group in its current form. Our Cycling Champion is moving to Oxford, and there are local elections in May. Since one in three CLG meetings has been cancelled, there probably wouldn’t be one between now and May even if it had been scheduled. Frankly, it’s been a shameful talking shop for its entire existence. The most consistent themes of the CLG have been hearing about theft of bikes, and the minimal ‘cost-effective’ schemes that have been whizzed up by harassed council officials. But what did happen? On the positive side, it sounds like substantial funding is finally going to make it to cycling in Richmond. Not the £30m that successful Mini-Holland bids will get, but still there’s going to be millions of pounds over the next few years to try to make the borough a place where we can cycle safely to schools, the shops or to work. An officer from the local Safer Transport Command discussed the Operation Safeway figures. This saw officers stalking a number of junctions in the area, and handing out an awful lot of tickets, both to drivers and cyclists. We’ve asked for a full copy of the figures, but inspection on the night suggested that proper enforcement had a significant impact on behaviour, with tickets issued falling significantly as the weeks went on. We’re delighted that enforcement activity does seem to be taken more seriously now, but since this operation is now over, we’ll be watching carefully to see how long this change lasts. Everyone involved in the Mini Holland bid seemed genuinely surprised and disappointed by the borough’s failure to secure the funding. We think that parts of the bid were very strong, and we’d really like to see them implement the proposed changes in Twickenham. Officials think we’ll hear about the next round of funding in around four weeks’ time, so we’ll see what comes out then. 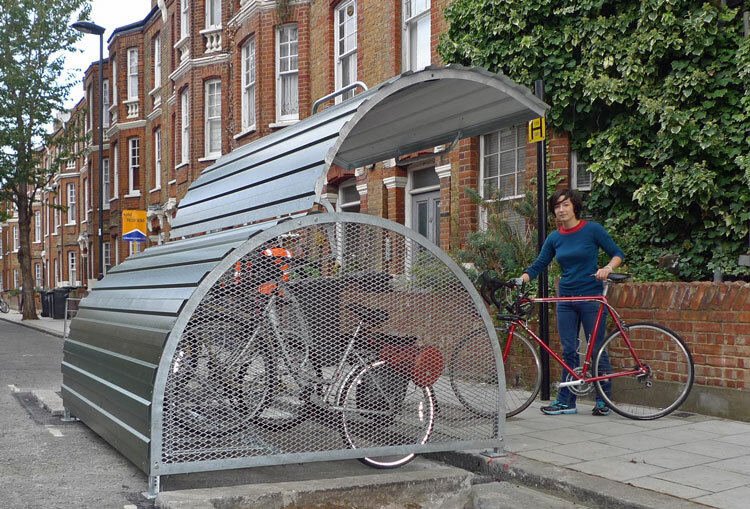 There’s also confirmation of £60,000 a year for cycle parking, and officials indicated they’re prepared to consider paying for residential parking for bikes as well. 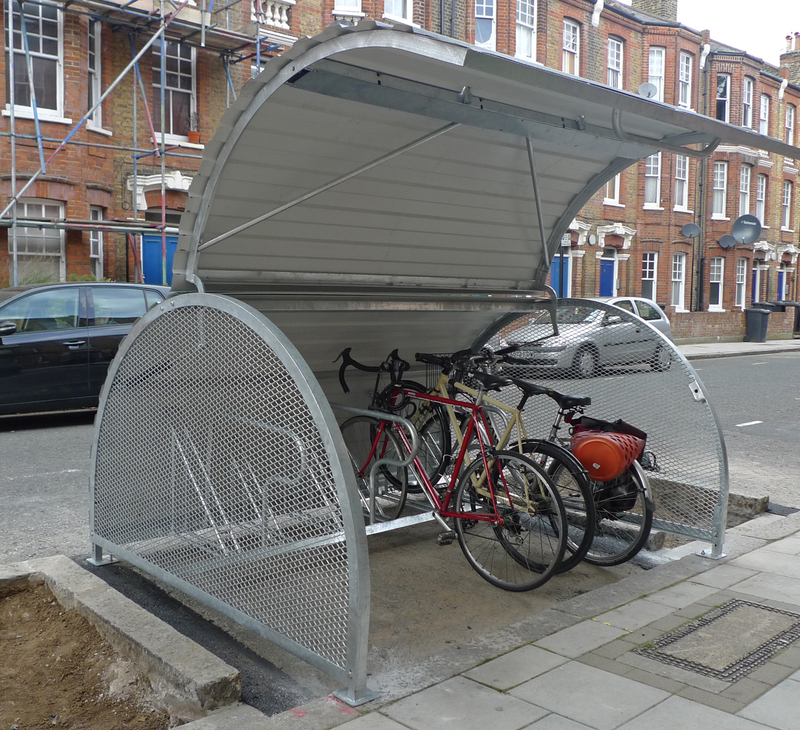 We’d love to see bike hangars popping up all over the borough, to make it easy and simple to store and access your bike, so please let us know if this is something you’d like! Will things change after May? That’s up to you. We’re preparing to ask all the candidates to tell us what they’ll be offering to make the borough a great place for everyone by improving it for cycling, so watch this space! Last week RCC members attended 2 key council meetings relating to cycling developments. Monday saw the LBRUT Head of Integrated Transport make a presentation to the Environment, Sustainability and Community Overview and Scrutiny Committee on (a) Mini Holland status and (b) the Borough Cycling Strategy; and Tuesday saw the quarterly Cycling Liaison Group take place covering the same topics. A summary of both is given here. Mini Holland status – Richmond has been selected to go through to the next stage; but with various modifications to the bid. Three or four boroughs will get about £20m each; 4 others could get around £3m. Other boroughs who failed in their bids may get funds for certain aspects in their bids which TfL considers “worthy”. So there seems to be a good chance that LBRUT may get some funding whether or not they win. LBRUT will be preparing the next bid with help from their consultants; and have 10 weeks (now 9) to do so. Richmond Cycling has requested input into the bid as soon as possible, so we can make sure the proposal has some real substance around safer places for people to cycle in the borough. Our review of the original bid is here. Apparently Andrew Gilligan (Boris’ Cycling Commissioner) is enthusiastic about the rail-side routes. Network Rail and SW Trains have been contacted and they are “very excited”. LBRUT is seen as a test bed for other boroughs. 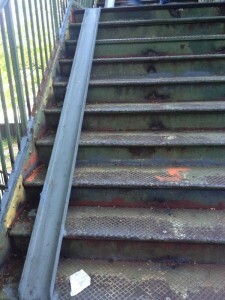 There is clearly a lot of more detailed work to be done to establish feasibility. TfL also wants the council to work with them on the A316 route. Hounslow and Hammersmith will be involved too. TfL requires that the cycle route will be continuous, which is great news: cycling routes which stop and start for no obvious reason, and which dump you into unsafe locations, are one of London’s biggest cycling issues. The proposal for the Ham-Twickenham bridge over the Thames will be dropped (on grounds of not enough benefit for the cost) and is seen as a more long-term possibility. The current design for Twickenham town centre design will be improved. There is a possibility of mandatory cycle lane or lanes in King Street. Borough Cycling Strategy – the report presented by the officers at the O & S meeting appeared to be aiming to get the O & S committee to provide input into the cycling strategy; rather than claiming to be a strategy itself. In fact the “strategy” seems to depend on whether or not LBRUT win any mini-holland money; so is unlikely to be completed until the outcome of that is known. Two Richmond Cycling committee members made formal statements to the committee to comment upon the document and made a number of key points – in particular that the targets for modal share growth are unambitious; that LBRUT need to be making infrastructure changes to support more vulnerable cyclists; they need to focus on converting parents from driving their kids everywhere – by making the roads safer for cycling; they need to use the information from School Travel Plans to really address these problems; and that the level of funding committed is inadequate. Our attendance at the meeting enabled RCC to raise awareness of a number of important points to a wider set of councillors than are usually engaged in cycling matters – and a number of questions were put to us. It was apparent that many of the councillors are not very cycling-aware; and the general level of questioning reflected many of the usual anti-cycling prejudices (red light jumping, pavement cycling etc.) without any obvious awareness of why this behaviour might happen. Cycle Parking – Each year there is a work programme (for parking). Cycle hubs will be installed at stations over the “next year or so”. Suggestions for parking are invited – if anyone has suggestions for places where more parking is needed please get in touch or log these on Cyclescape and we will then pass onto LBRUT. If fine words delivered a seismic shift in the number of people cycling, Richmond Council would be almost as effective as Boris Johnson. Once again, we sat through a meeting which was heavy on rhetoric, promises and fine ideas, and pretty thin on actual action that will make cycling an enticing thing to do in the borough. The thing is, the council is very, very good at talking about cycling, and we’re fairly sure they understand our concerns about how to make cycling a real option for everyone in the borough, but when it comes to actually doing something, their failure to follow through is frankly distressing. Local police have been running some ‘education’ on local Advanced Stop Lines. This has run for two weeks, and now they’re planning some actual enforcement activity. Bike thefts in Richmond are up, but they’re down in Kingston. To be honest, I’m sick of hearing about bike theft at the Cycling Liaison Group. Everywhere that people use bikes to get around, someone finds a way to steal some of them – it’s great that the police are looking into this, but I don’t see why it has to come to the CLG every single time. 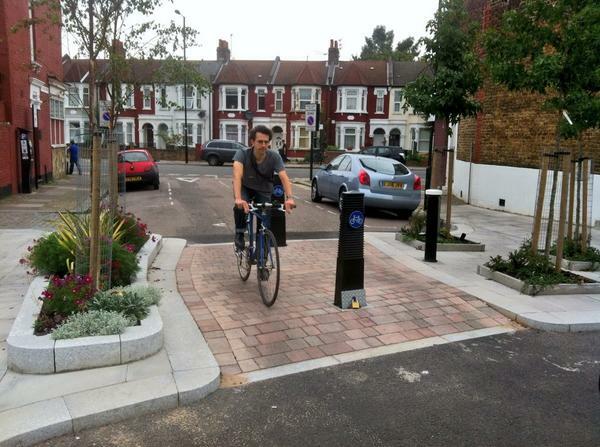 We heard from TfL that 19 of 20 eligible boroughs submitted bids for the Mini Holland money. The TfL rep was very impressed with Richmond’s bid, but also masterful at dodging any questions of substance. What we did find out was that up to 8 bids would be called forward to the second round, with seed cash to improve their bids, and then up to 4 boroughs will actually share the money. And we discussed the mini Holland bid – both Councillor Harrison, the cabinet member for transport, and Chris Smith, the head of planning, waxed lyrical about how convincing Andrew Gilligan was, and how committed he is. Which is great – we just feel it’s a pity that they’re not reflecting this enthusiasm in the designs that we see. The borough’s cycling strategy, which has been in gestation for longer than the Trident upgrade plan, is now apparently going to have to be re-visited again, because the current version apparently describes a strategy that doesn’t really reflect the mini Holland bid. We’re choosing to interpret it as a good thing that the council is trying to align these things, but we’ll wait until it comes out before we comment any more. The one point we found very interesting: the council told us that they’re planning to get more on-street parking rolled out. Specifically they observed that you don’t need planning permission to do this, so if you’d like some parking for your bike, please get in touch (or email us: campaign@richmondlcc.co.uk), and we’ll start asking the council. What’s that? Was there an elephant in the room? Well, yes. Sat on the table, in plain view but not on the agenda, was the Twickenham Plan. We managed to ask some questions about it, but basically we know that bits and pieces are going to consultation. This does represent a chance to at least seize the small improvements for cycling on offer, like the introduction of 20mph, and the Holly Road contraflow. So if there’s one thing you do this month, please do reply to the consultation – we’ll provide some more details this week, and we’re also going to try to meet the council again, to see if we can get any improvements to the current appalling plans.